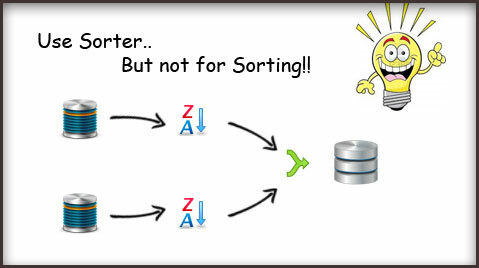 A Smart way for creating a table (SQL) for Informatica guys!! This was something i got to learn from my team mate. A very good and a simple way of making your work much easier. So as the requirement said, create a SQL table and load the data from a MS Excel file. Say there were almost 50 columns and so i had a tiring and huge manual work of listing down the column names and then write a SQL script to create the required SQL table. Though i was sure, that once the table is ready i can very well make the Excel file to a tab delimited text file and later load the whole data through a mapping with source as the flat file(text file) and the target as my SQL table that i will be creating in SQL. Not a big challenge, but needs a smart solution to handle the table creation having plenty of columns to be created. Here we have a better way to do this for the Informtica developers. All we have to do is, just import the Flat file source into the informatica source analyzer and just drag drop the same Source object into our target designer,i mean copy the source as a target. Now we have a target created same as the source. And here is all we need to act smart, change the target Database Type to ‘Microsoft SQL Server’ and so we have made our Flat file target into a SQL server target table. 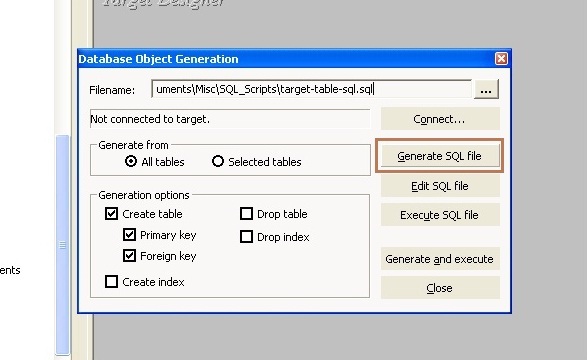 Now comes the trick of making things easier, just get on to Target menu -> Generate/Execute SQL.. and we have the wizard window to generate the SQL script for us. Since we need a Create table script, just have your options selected as is shown below. And just a click on the Generate SQL File shall get the required script of creating a table having any number of columns. So here we are ready with a create table script to make our job easier. 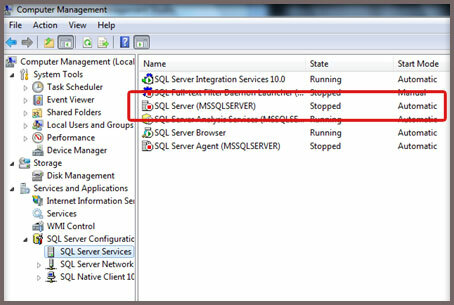 All we have to do here on is to get this running on the SQL Server Management studio to get the table created. And as all we know to populate this is pretty simple. We have our flat file source available and also the target. A mapping to load from source to target, execute it and we have the table created with the data populated. I was in a struggle in getting my SQL server on track to connect to the database engine!! It was all saying – “error: 40 – could not open a connection to SQL Server”. Thanks for reading, share this and it must help some one out. How to enable a select copy of headers? Initially i was struggling to get this option done, and found it hard to type the headers manually where ever i copied my query results. So here i have the solution for you. Its a simple flow of steps to follow to enable this to work. 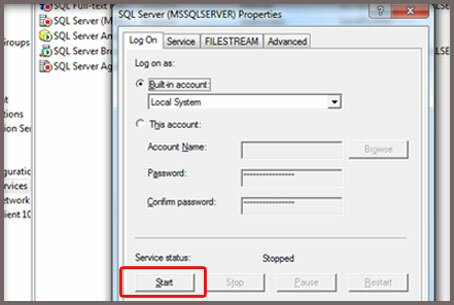 As usual on your SQL server just follow the below steps and you get your headers from the query result to be copied into your clipboard for a paste to any where. 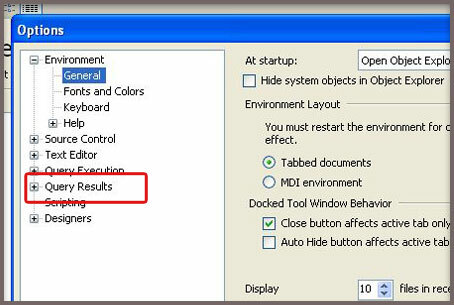 Select the Tools menu on the top of your window. 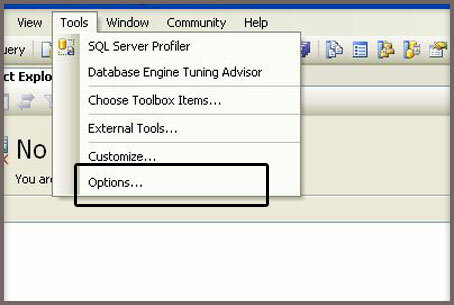 Then select the Options from tools menu. 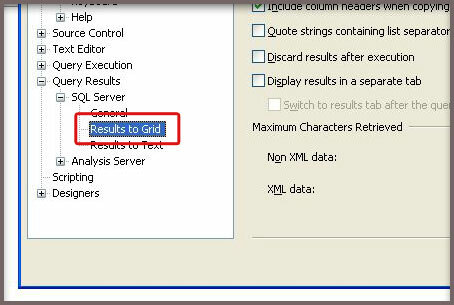 Now appears the Options window, where on the left we have the menu Query Results -> SQL Server -> Results to Grid. Click the ‘Results to Grid’ option and on right pane of the Options window we have the option ‘Include column headers when copying or saving the results’. 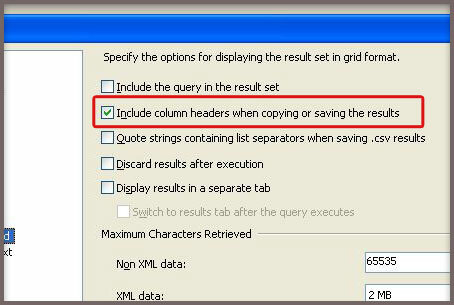 Just check this option and we are done, to enable the copying of headers along with the query result datas.